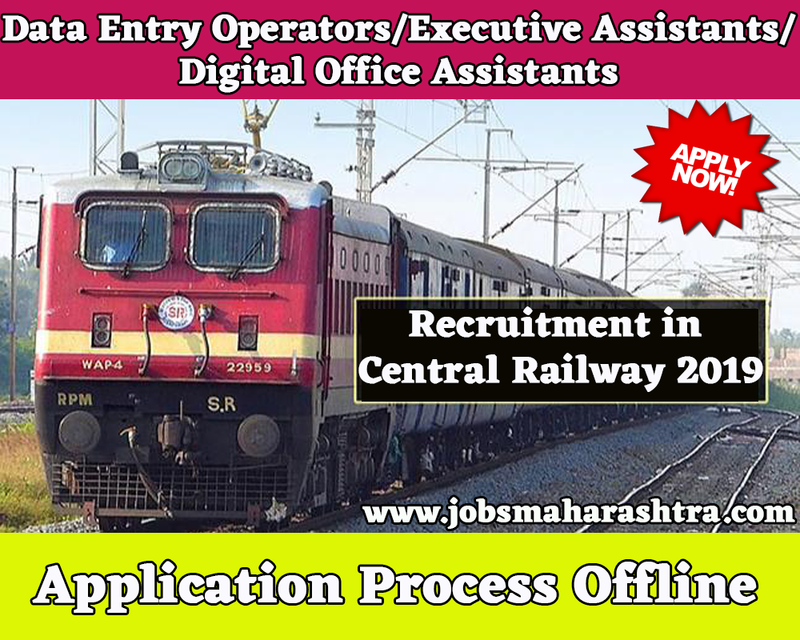 Central Railway Mumbai has published an official notification and inviting application for recruitment of 78 posts of Data Entry Operators/Executive Assistants/Digital Office Assistants Posts. Interested and Eligible candidates who wants to apply for these posts send their applications on below given address before 11th January 201. For more details like age limit, salary, how to apply, selection process please refer the below article. Note:- For PH candidates in all the categories, additional 10 years relaxation will be granted. Graduation in Computer Applications/ Information Technology/ Computer Science of recognized University/Institute. Rs. 21,600/- paid as a salary. Application should be submitted by the candidates in prescribed format enclosed. The Applicant should affix his/her recent passport size photograph duly signed by the applicant at the space provided for photographs on the application. Application received without caste certificate (in case of SC/ST & OBC candidates) will be treated as UR subject to fulfilling all the eligibility conditions as per UR candidates. Only one application should be submitted by candidate in response to this Advertisement/Notification. 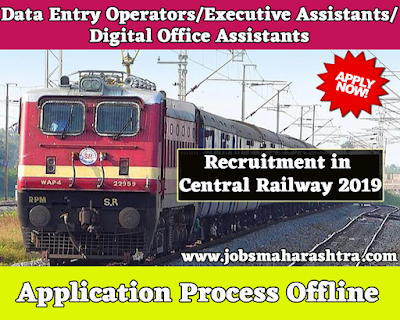 Application should be addressed to “The Divisional Railway Manager, Personnel Office, 2nd Floor, Annex Bldg CSMT, Mumbai – 400001" giving full information in the prescribed format. The selection will be in two stages. First stage being all the applicants will be arranged according to the consolidated marks obtained in the graduation in their descending order upto 3 times the vacancies notified for filling up on contractual basis. They will be short listed for the calling for Personality Test. The Skill Assessment test will be to judge the ability of basic computer operations, including proficiency in MS Office applications, i.e. Word Excel, Power point as well as his typing skills in addition to general skill assessments on offices procedure, which will be conducted by the committee on a PC/Laptop. Canvassing directly or indirectly by any candidate will automatically disqualify his/her selection. The submission of application will no confer any right on the applicant to be called for skill assessment test.